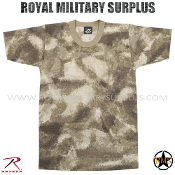 The A-TACS AU (Arid/Urban) Camouflage Pattern was designed around an innovative organic digital pattern concept technology. Instead of using the conventional square shaped pixels, the A-TACS Camouflage family is using natural shapes and organic patterns in a palette of digitally sampled natural colors. Composed of two levels, this camouflage creates a pattern-within-a-pattern effect based on the interaction of a Micro & Macro Pattern that help conceals the human outline at numerous range of distances. This pattern provide a better capacity of adaptation in a multitude of terrains and landscapes by digitally organizing the pattern without horizontal or vertical orientation. 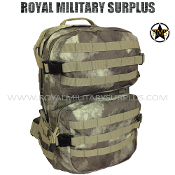 The A-TACS AU pattern is primarly designed for Rocky terrains, Arid climates & Urban areas and use specific colour schemes that are overlayered and blended to integrate the natural surroundings (Numerous Earthy Brown variations & Shades of Greens). 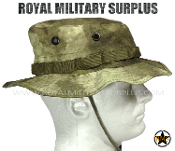 Currently in use by Military Forces, Special Operations Forces and Law Enforcement personnel all around the World. 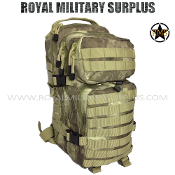 The Canada based Royal Military Surplus online store offers range of quality Military Kits, Combat Uniforms, Tactical Gear and Military Apparel in A-TACS AU (Arid/Urban) Organic Camouflage Pattern.